30 years ago The Gettys Group was founded with a vision to deliver world-class hotel interior design and procurement to discerning hospitality clients around the world. 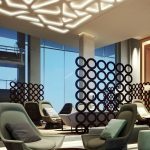 Today, this company is widely regarded as the industry leader specializing in integrated interior design, development, branding and procurement services. Today we will discover Hotel Essex. Two years after breaking ground at 808 S. Michigan Avenue, the 620-foot-tall Essex on the Park apartment high-rise welcomes its first residents. The project draws inspiration from its location next door to the landmarked former Hotel Essex Inn, across from Grant Park. The new tower’s connection to the hotel is more than just physical. 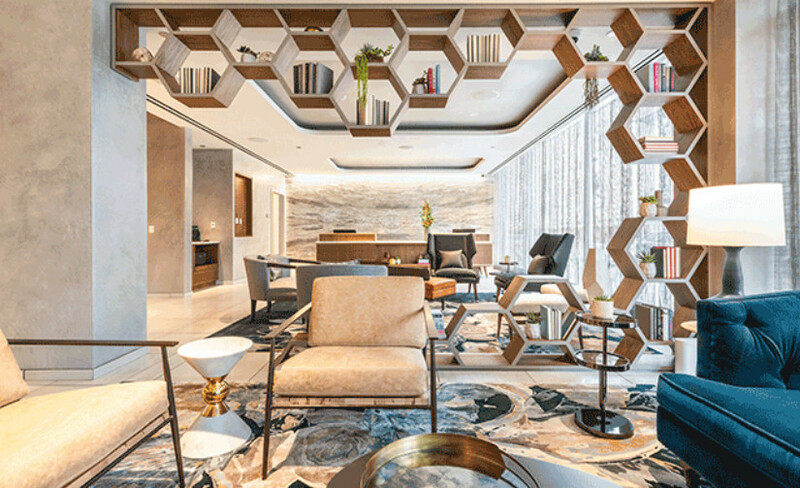 The project’s developer, Oxford Capital Group—the firm behind Chicago Langham Hotel, LondonHouse, and Hotel Julian—brings a hospitality-minded attitude to the apartment project, the best choice for Hotel Essex. The approach is perhaps best reflected in the residential tower’s resort-like winter garden, a four-story glass enclosed atrium containing lush greenery, an infinity-edge pool, and a dazzling array of dangling pendant lights. 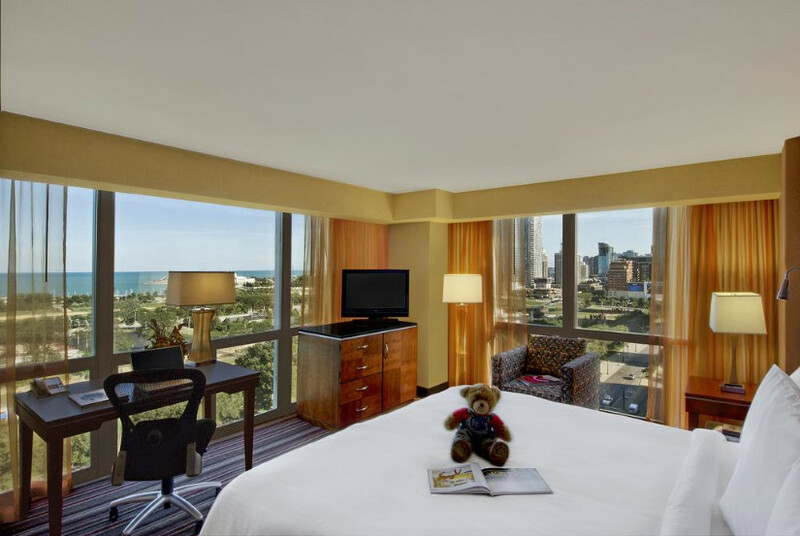 The soaring treetop space allows for expansive views of the park and provides more light to south-facing guest rooms of the neighboring hotel. 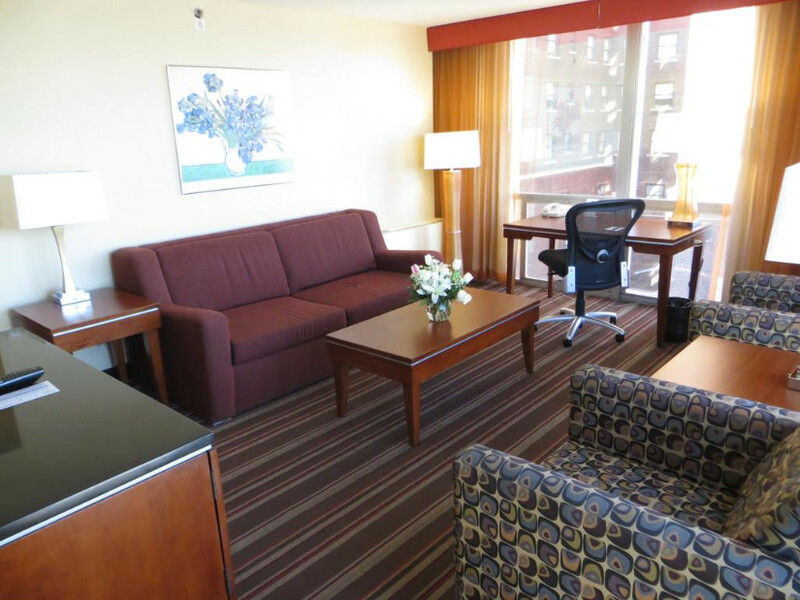 While Essex on the Park welcomes its first renters, work is still wrapping up a $75 million renovation of the neighboring Essex Inn—now rebranded as Hotel Essex. Designed in 1961 by A. Epstein and Sons, the landmark glass and metal-clad building is getting a contemporary makeover from the Gettys Group, influenced by the structure’s midcentury architecture. 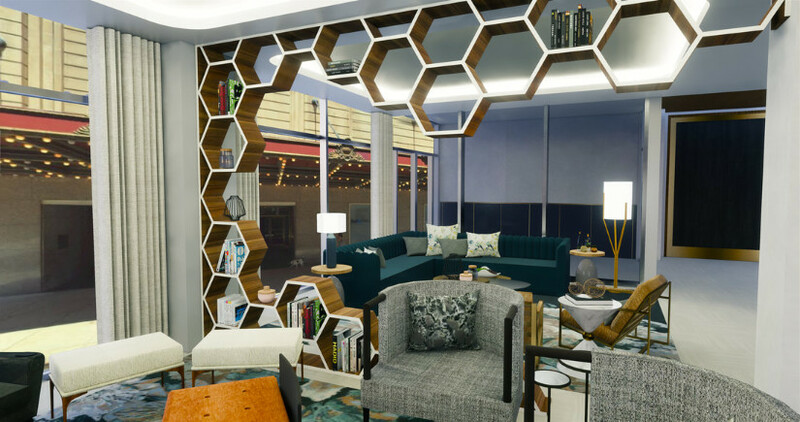 The Hotel Essex’s lobby features a low check-in desk reminiscent 1960’s console table and a room dividing screen of wooden hexagons. 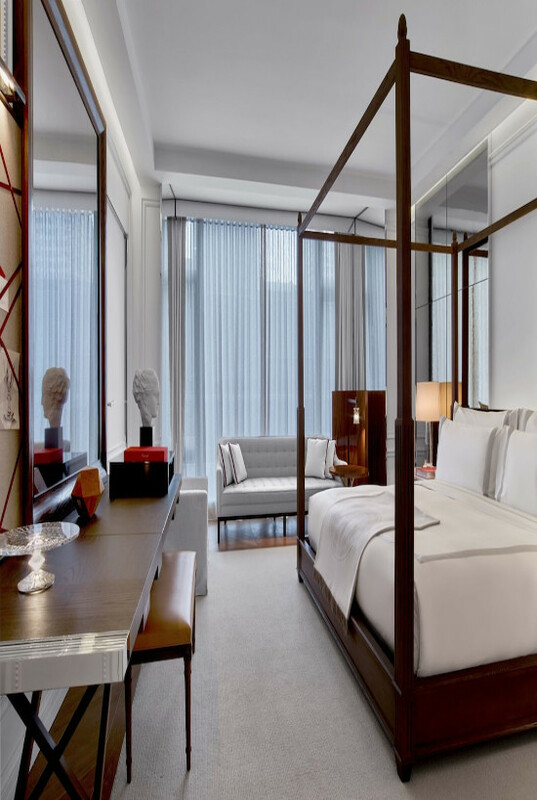 The guest rooms—expanded by 20 for a total of 274—include a blend of mid-mod furniture and the latest technology such as Bluetooth-enabled bathroom mirrors with concealed speakers. 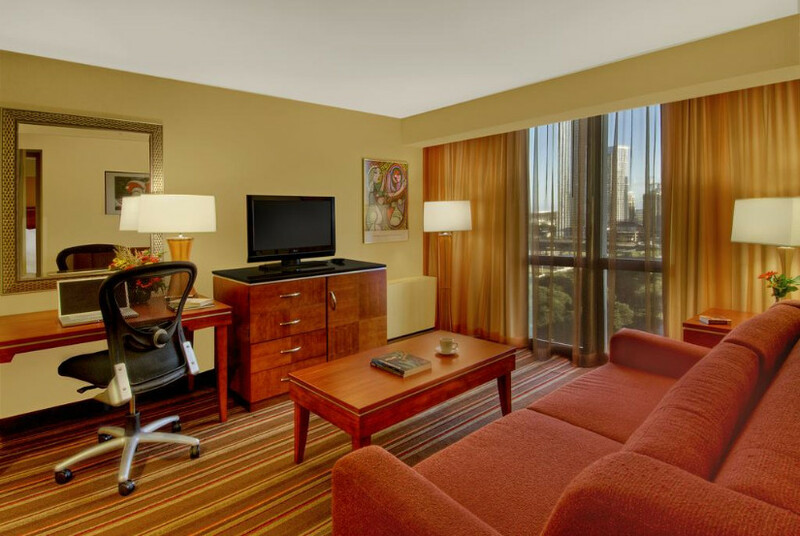 Hotel amenities include a third-floor conference room overlooking Grant Park and a fitness center. On the food and beverage side of the equation, Hotel Essex will have a ground-floor coffee shop and French restaurant dubbed Grant Park Bistro. Additionally in Hotel Essex, a two-floor cocktail lounge and dance club with retractable glass walls known as SX Sky Bar will open for in the residential tower in April. Given Chicagoans’ love for new rooftop bars, expect lines to form along Michigan Avenue once the weather turns warmer. >> What do you think about this article on Hotel Essex? Please, leave your comment below so we can help you with your favourite themes. If you want to be up to date with the best news about interior design events, new pieces, and other design news, you must have to sign up our Newsletter and receive in your email, free of charges, the latest and the most exclusive content from BRABBU CONTRACT.